2014 Research and Innovation Partnerships: Lessons and Resources for the Unconventional Gas Sector. 2014 The Status of Industrial Ecology in Australia: Barriers and Enablers. 2014 Rare earths industry in 2013-2014: Diversifying supply sources. 2013 Building momentum on rare earths research and development. 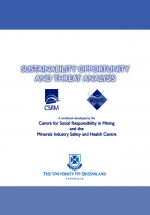 This guide is the fourth to be developed in partnership with the Centre for Social Responsibility in Mining (CSRM), part of the Sustainable Minerals Institute at The University of Queensland. Other guides include Why gender matters, Why cultural heritage matters and Why human rights matter. reviewed by two groups – a group of Rio Tinto reviewers from different departments and geographical locations, and an External review panel of experts in agreement-making. The Guide is primarily aimed at providing guidance to companies on good practice where mining-related activities occur on or near traditional indigenous land and territory. This recognizes that particular rights, legal requirements a nd interests come into play, and in such cases these situations tend to present significant challenges for mining companies. The main focus of the Guide is on mining-related activities that take place in relatively remote locations, but it is recognized that some mines are located close to large urban centres that contain substantial indigenous populations. 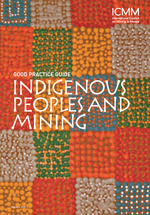 We hope that the guide provides an effective framework for ICMM members to bring long-term benefits to indigenous communities and companies – and serves as a useful tool for promoting best practice across the mining and metals sector more broadly. The purpose of this Guidance Note is to provide advice to various stakeholders about what is expected in good practice social impact assessment (SIA) and social impact management processes, especially in relation to project development. Project development refers to dams, lines, oil and gas drilling, factories, ports, airports, pipelines, electricity transmission corridors, roads, railway lines and other infrastructure including large-scale agriculture, forestry and aquaculture projects. This Guidance Note builds on IAIA’s (2003) International Principles for Social Impact Assessment. 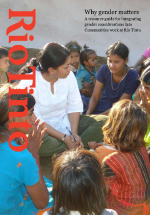 While the International Principles outline the overarching understandings of the SIA field, including the expected values of the profession, this document seeks to provide advice on good practice in the undertaking and appraisal of SIAs and the adaptive management of projects to address the social issues. As a statement of good and sometimes leading practice, not all the information in this document will necessarily be applicable in every situation – people utilising this information will need to establish for themselves what is appropriate in each particular context. • Identifying considerations that would be specific to different country contexts. 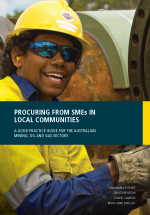 This Good Practice Guide is primarily aimed at corporate professionals working in the Australian resources sector in procurement/supply chain, community relations and contract management roles. This Guide also includes case studies, tools and checklists that elaborate on various aspects of business and human rights. 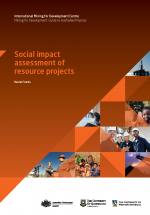 This paper describes aspects of the legislative and policy framework for the assessment and management of the social impacts of resource projects in Australia. Australian state governments have adopted varied approaches to the assessment and management of social impacts. The paper does not attempt to provide a comprehensive review of SIA policy in Australia, nor should it be used as a guide to the jurisdictional requirements. Instead the paper highlights the leading practice initiatives that have improved outcomes for the communities and social groups impacted by projects. The paper begins with an outline of the social issues associated with resource development and an explanation of SIA and its importance. A range of case studies of initiatives and policies adopted by governments in Australia are summarised. In recent times Rio Tinto, and the broader resources sector, has recognized the critical role that gender plays in the social dynamics of local communities. 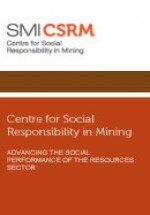 This Guide was developed by Rio Tinto in conjunction with CSRM, who were the principal authors. 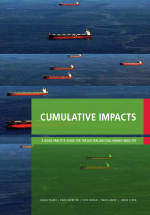 Rio Tinto also sought advice and input from external experts from all regions of the world in developing the guide. 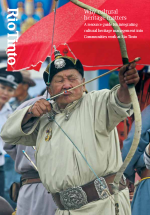 The Guide includes case studies from a number of Rio Tinto sites from across the globe. What motivates female students to enrol in mining-related degrees? Having enrolled, how likely are they to take up a career in the minerals industry and how long are they likely to stay? differ from those of male students? What suggestions do they have on how to attract more women into mining-related courses? The survey was distributed and completed during class time. In total, 329 students completed the survey, of whom 51 (15.5%) were female and 277 (84.5%) were male. 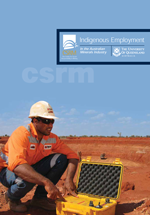 This ground-breaking Guide summarises a two-year study of Indigenous employment in the Australian minerals industry, which aimed to assist companies and operations improve their capacity to attract, retain and develop Indigenous employees. Sponsored by Rio Tinto, the project was conducted under the auspices of the Minerals Council of Australia’s Social Policy Taskforce. It also resulted in the production of an associated evaluation tool which ahs been applied by a range of industry organisations. The Leading Practice Sustainable Development Program for the Mining Industry is an Australian Government initiative which has produced a series of internationally-recognised handbooks on various topics. Developed by a multi-stakeholder working group, CSRM provided significant input through David Brereton as Chair of the panel and Deanna Kemp as Principal Author. 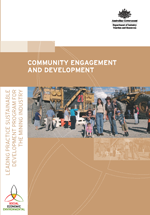 Developing a Community Impacts Monitoring and Management Strategy: A Guidance Document for Australian Coal Mining Operations. 2015 Designing Sustainablity Certification For Greater Impact: An analysis of the design characteristics of 15 sustainability certification schemes in the mining industry. 2015 Exploring the Community's "Right to Know"
2014 Taking on the miners. 2013 Galilee mega projects must avoid mistakes of last boom.